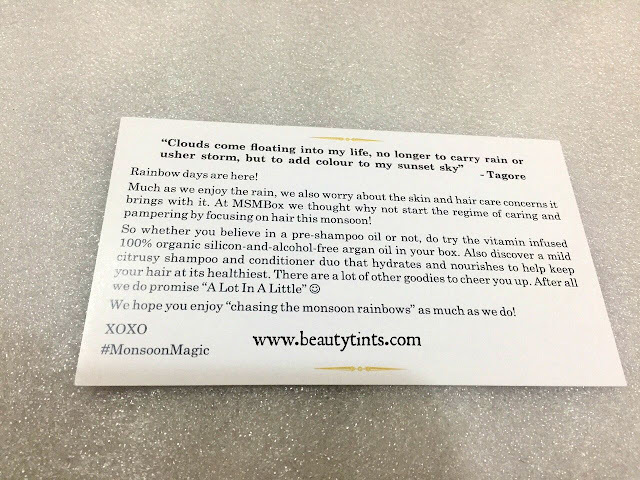 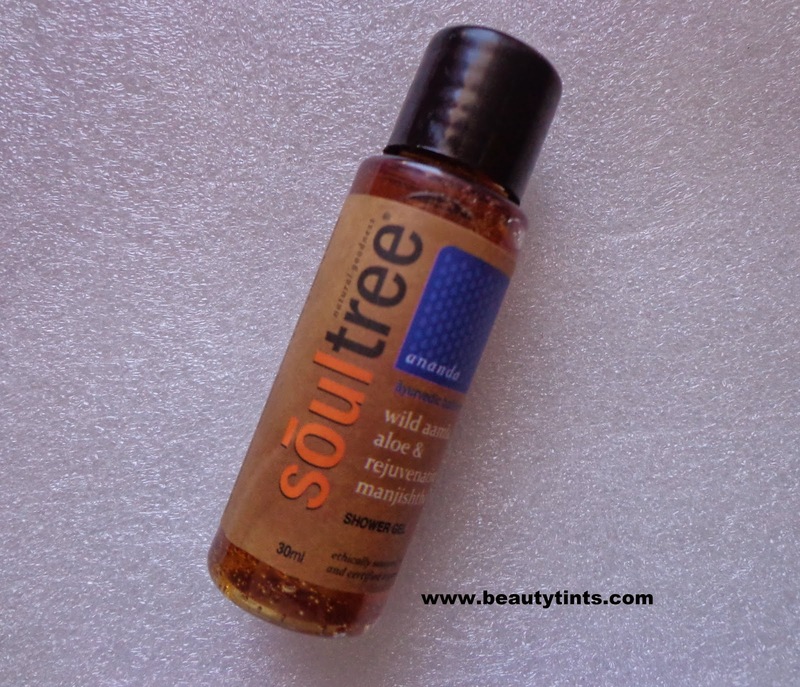 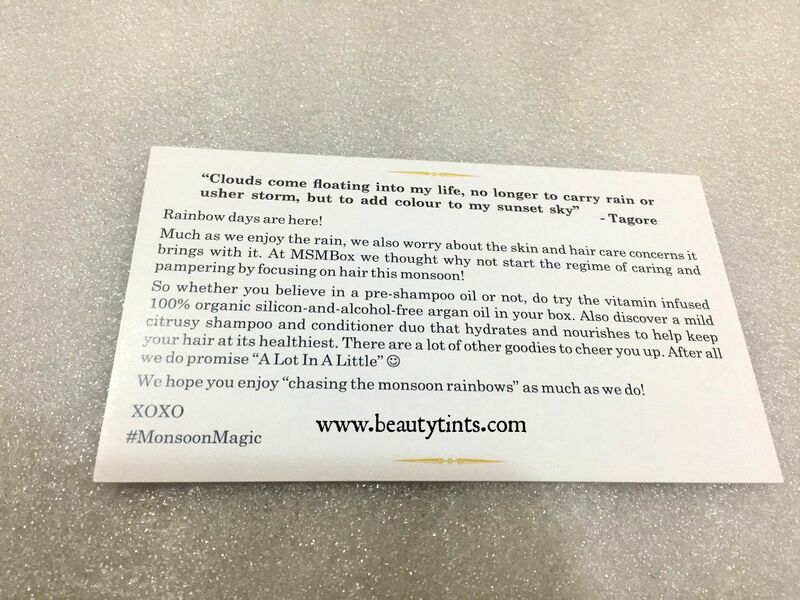 Sriz Beauty Blog: MSM Express Box July 2015 Edition Review!!! 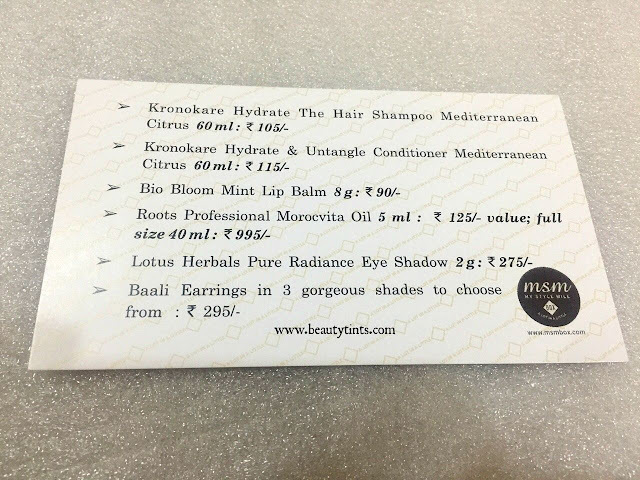 Here are the set of products which I received in this July Month Box.I have received 6 products in which 3 are full sized. 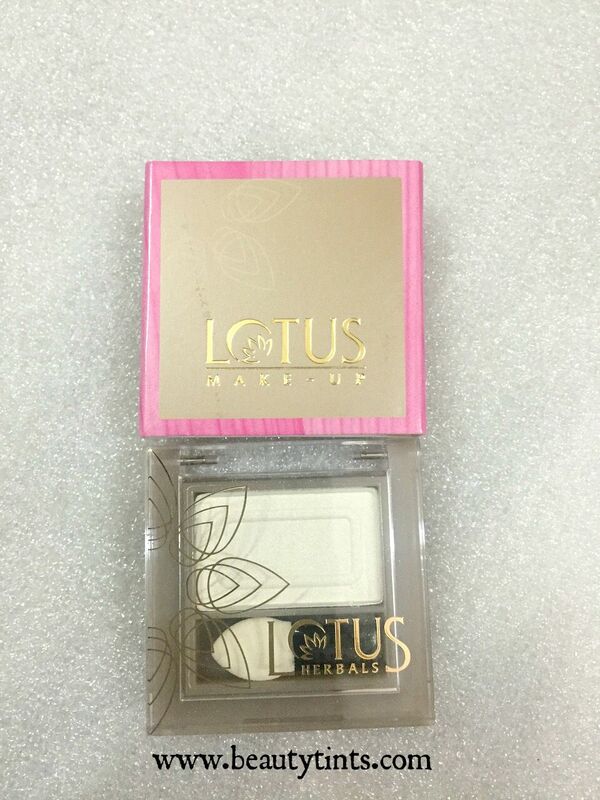 1) Lotus Herbals Pure Radiance Eye Shadow : This is the first full sized product of 2 gm which Costs around INR 275/- which covers 1/2 part of the price of the box.I can't wait to try this!!! 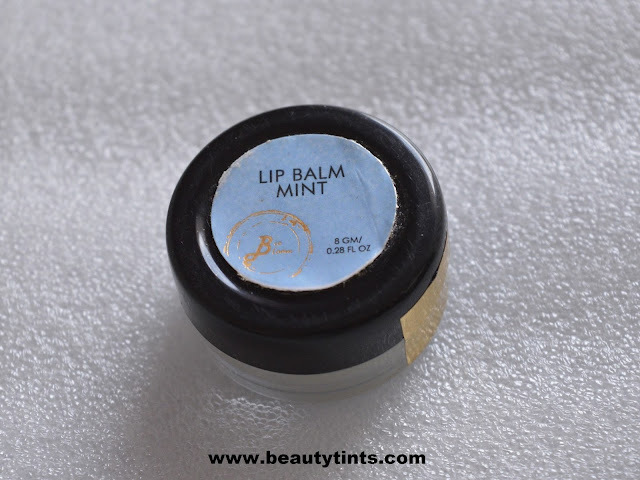 2) Bio Bloom Mint Lip Balm : This is the second full sized product from the box which costs INR 99/- for 8 gm.I have tried few products from Bio bloom before and loved them.I am happy to receive this. 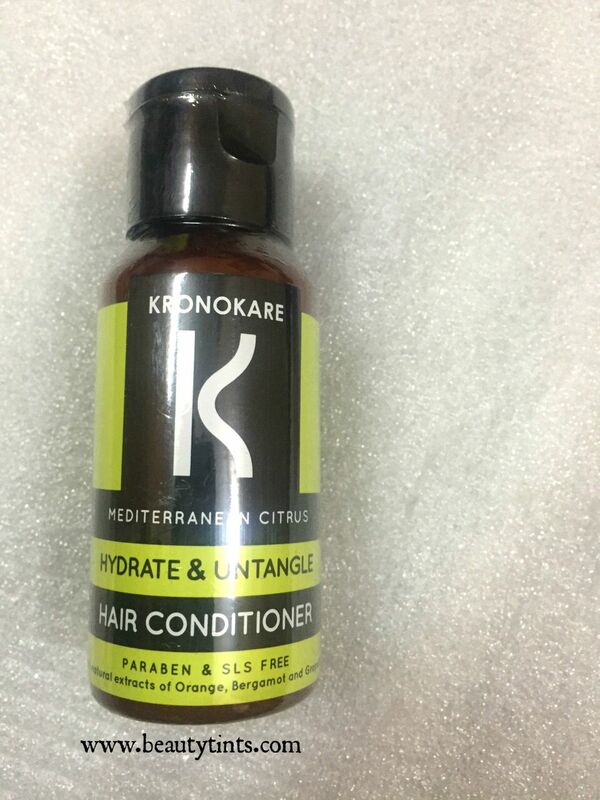 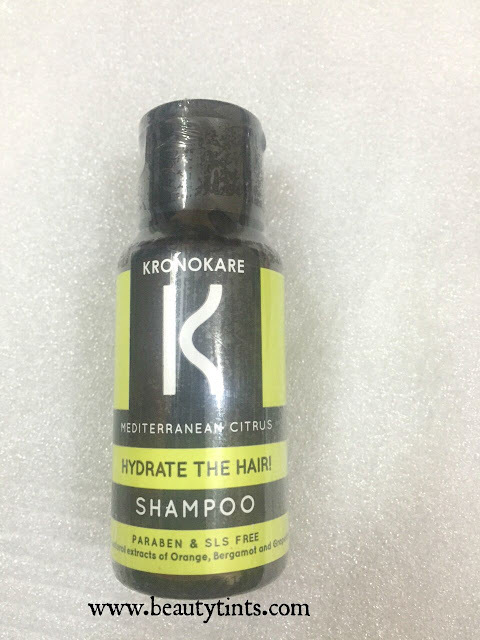 4)Kronokare Mediterranean Citrus Hair Shampoo and Conditioner : These are 60 ml bottles each which are priced at INR 105/- and 115/- resp. And along with these there is also a gift voucher. 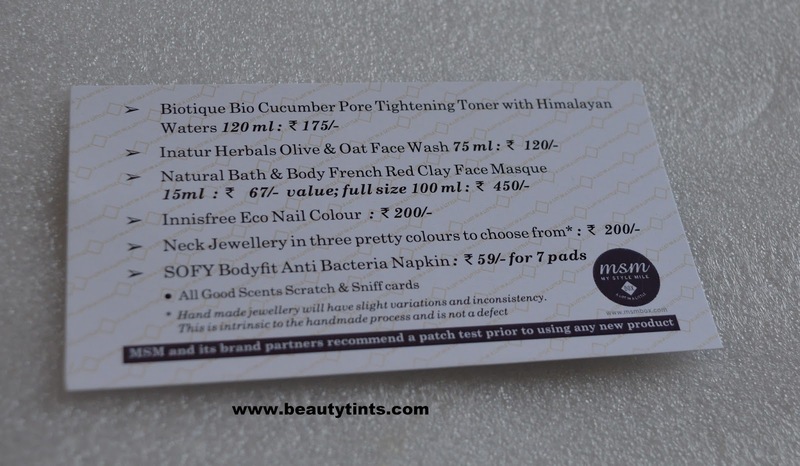 So,these are the products which I received in the July Edition MSM express Box. 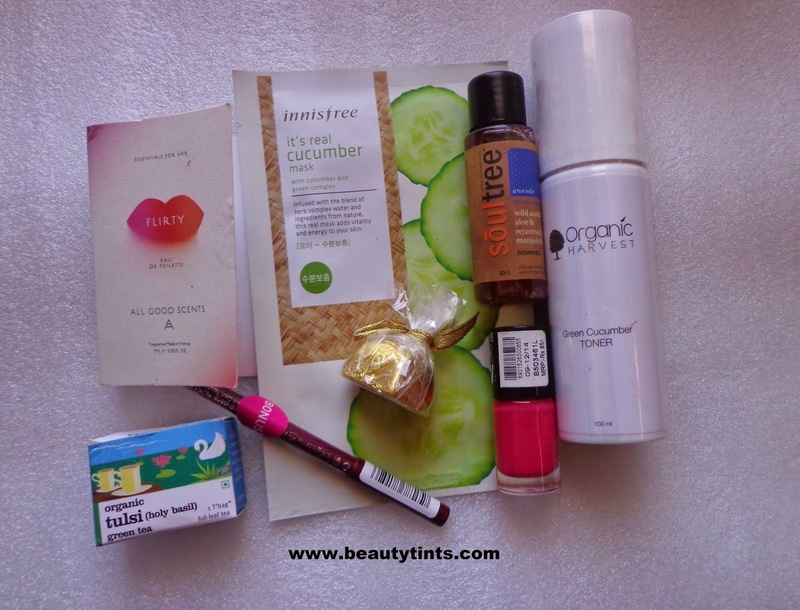 Final Thoughts : I loved last month's box to the core and when comparing this month's with that,this is an average box. 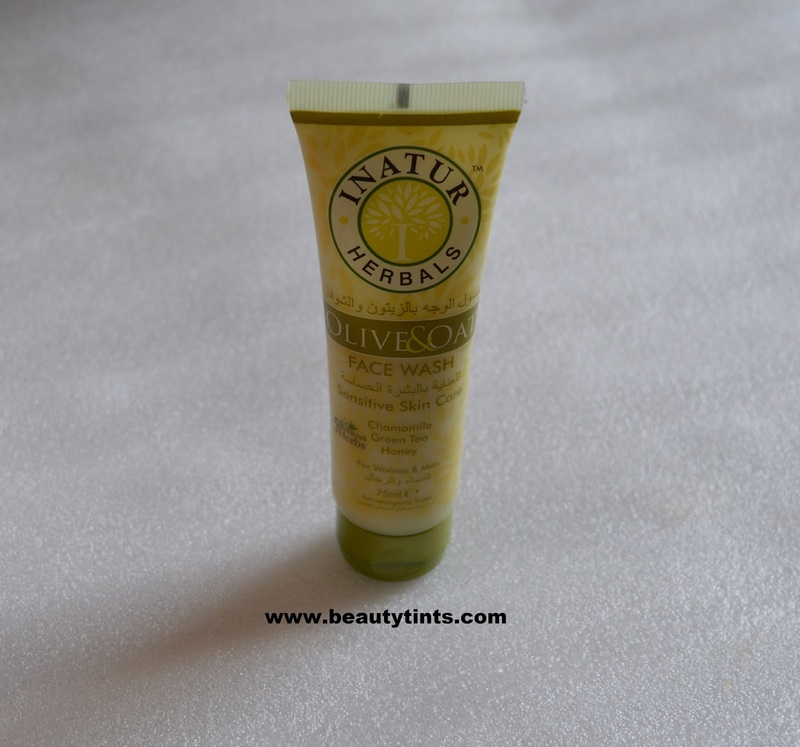 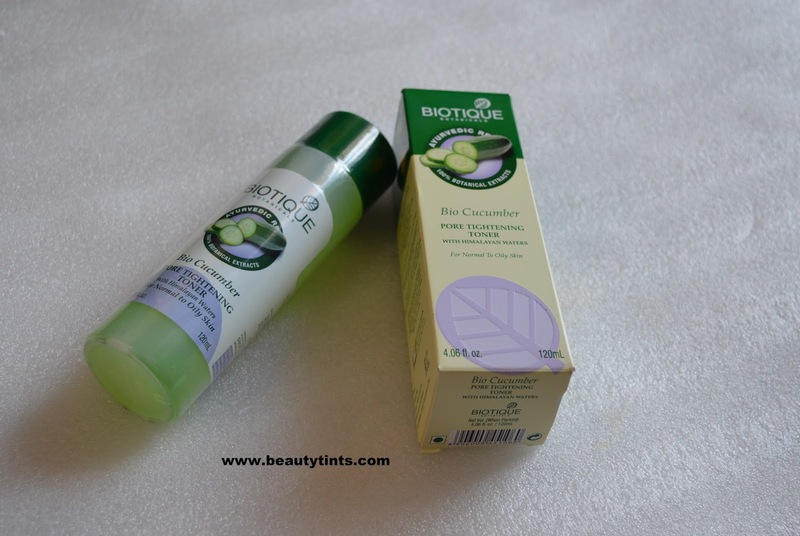 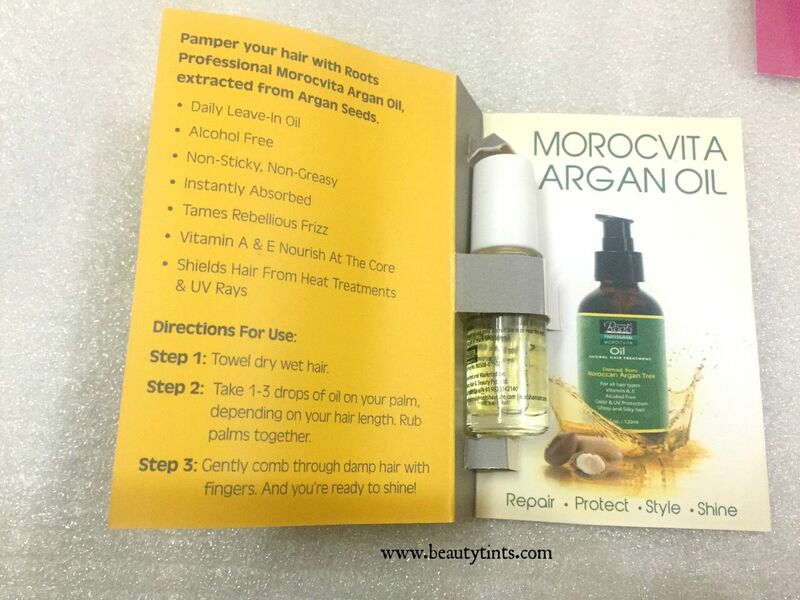 Biobloom lip balm,morocvita Argan oil are my favorites from this box. 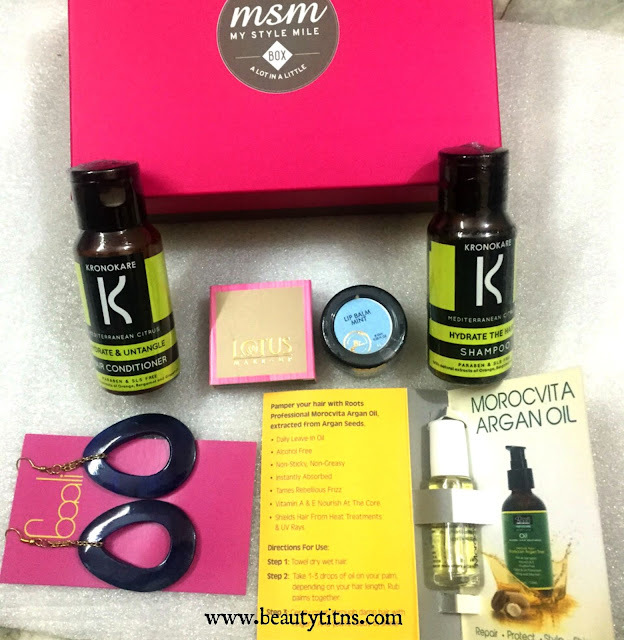 Let me know about your views about this July MSM box in the comment section below. 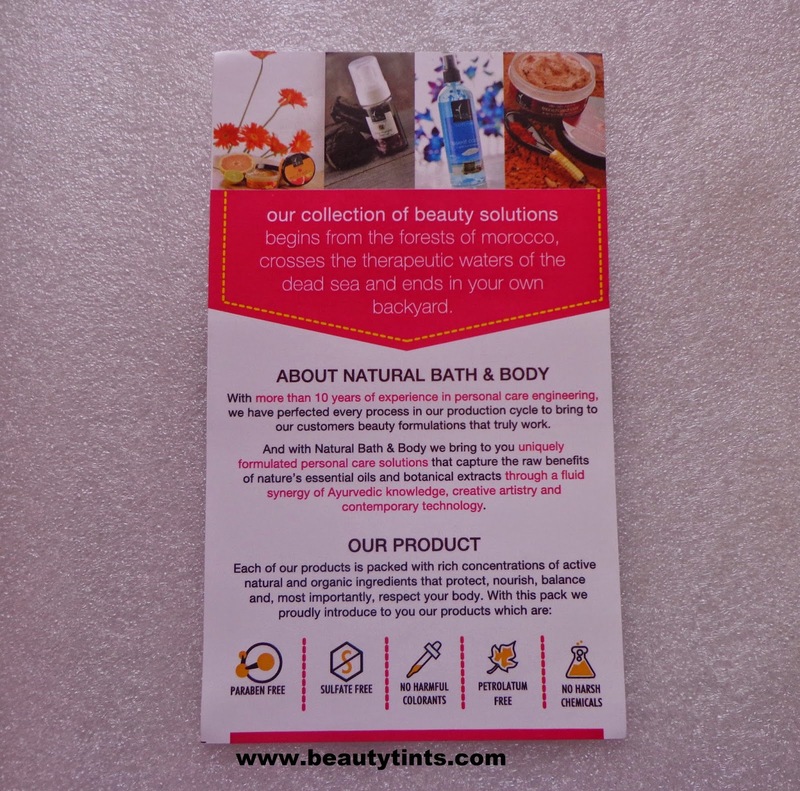 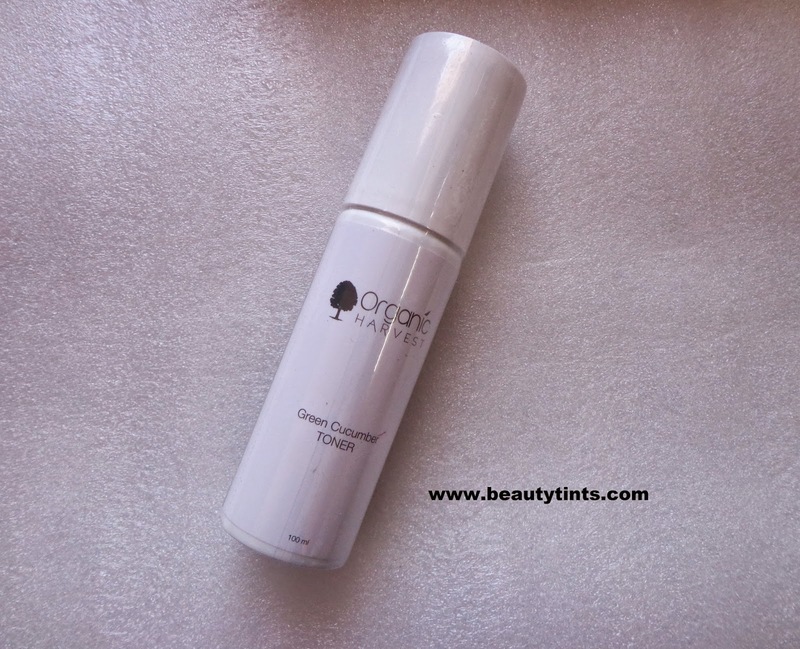 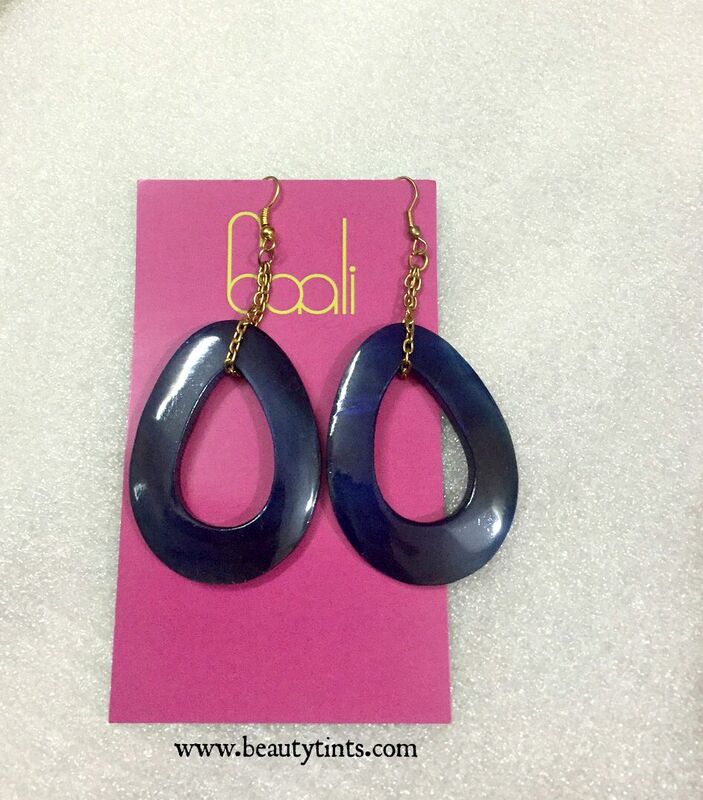 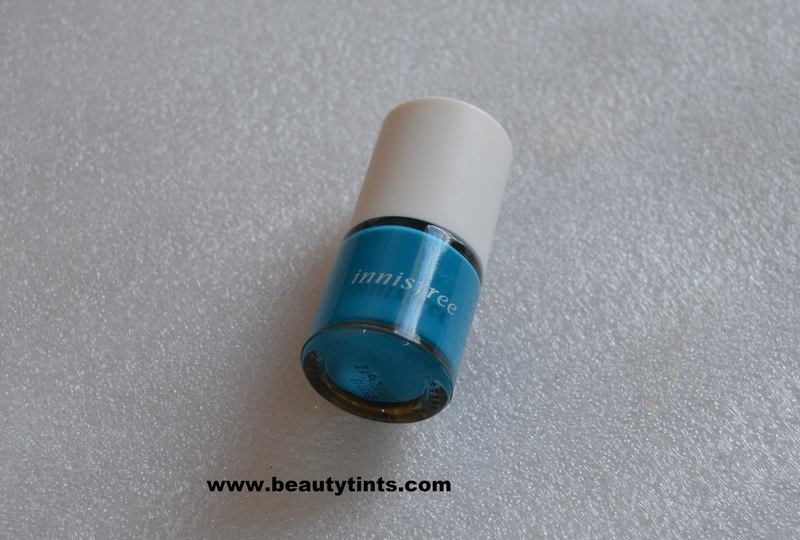 Also check out the review of this month's My Envy Box.